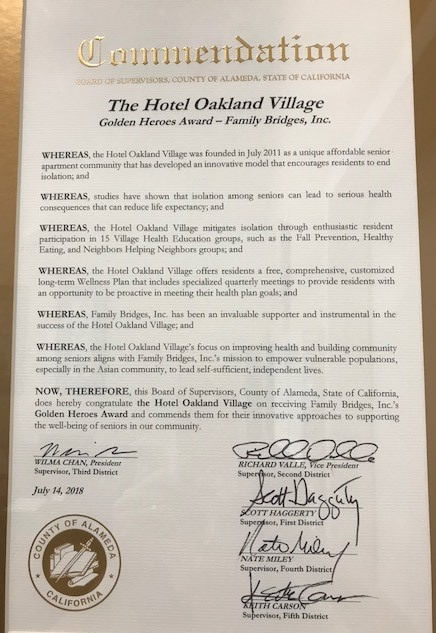 Hotel Oakland Village receives “Golden Heroes Award”! The Hotel Oakland Village was recently awarded the “Golden Heroes Award” from Family Bridges, Inc. for “developing an innovative model that encourages residents to end isolation.” Family Bridges expressed that “The Hotel Oakland Villages’ focus on improving health and building community among seniors aligns with Family Bridges, Inc.’s mission to empower vulnerable populations.” We are so honored to have received such a prestigious award from our Village partner! Please see our Facebook page for this article and more information about all Village events! 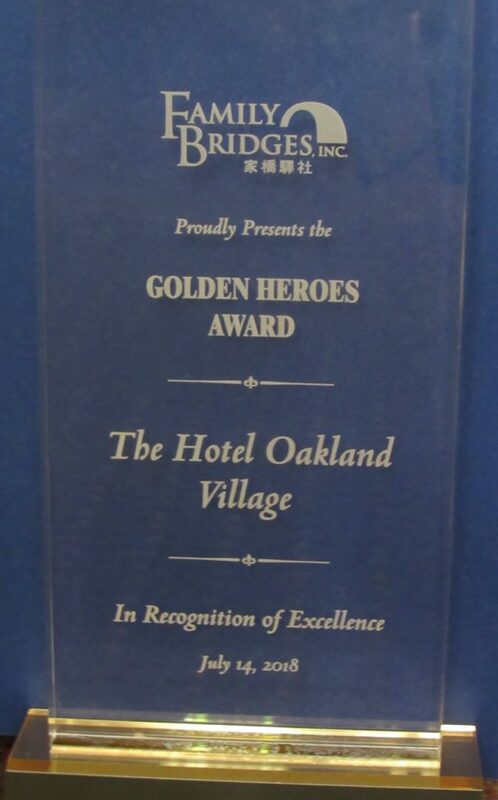 ← Hotel Oakland Village receives “Golden Heroes” award at the Family Bridges “50 Years Annual Fundraising Gala”!